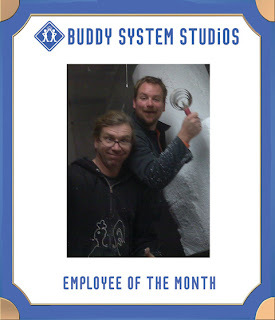 Congratulations to February's Employees of the Month - Ross Shuman and Patrick Denver. With only foam, wood, wire, glue, paint, plaster and the tools that were provided for them, they made the impossible possible. And the sets looked nice, too. Nick project in full swing!